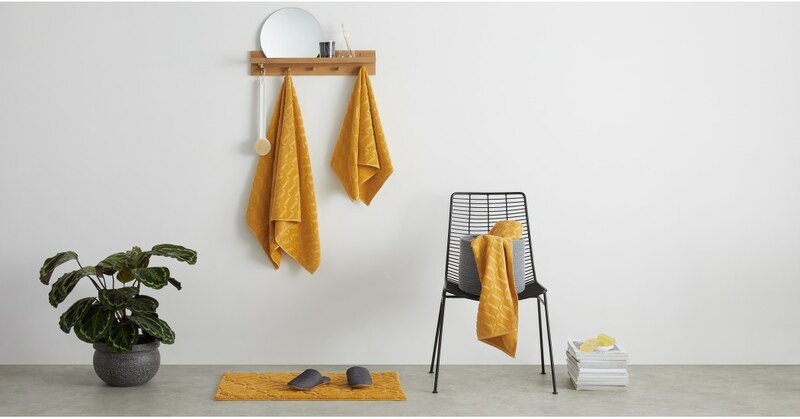 Cool, contemporary bathrooms deserve stylish accessories like our Prism towels. It’s emblazoned with a geometric weave and crafted from 100% cotton. Prism’s made from 100% cotton. Soft and easy to care for, they’ll make a premium and colourful addition to your bathroom. When it comes to Prism the only thing you need to ask yourself is which colourway? Choose from mustard, stone grey, or deep blue – although, it's such an incredible price why not treat yourself to all three?